This entry was posted in Character Songs, Sengoku Night Blood and tagged Toriumi Kousuke. Not knowing Masamune’s plans, she attempted to escape again, but was unlucky and encountered yakuma. At that moment, sensing danger, the one who came to narrowly save her was…? 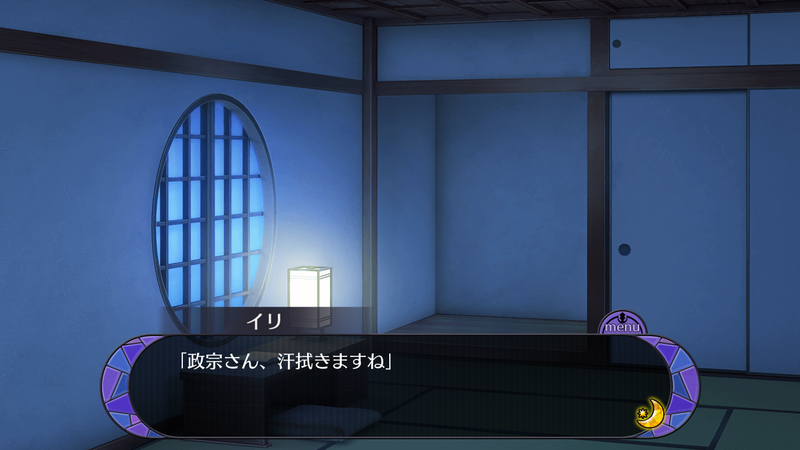 In the room where there was only the two of us I tried to wipe Masamune’s forehead, which was covered in sweat, with a damp towel. This entry was posted in Collaboration, Otome Games, Sengoku Night Blood and tagged Kadokawa, Marvelous!, Mobile, Otomate, Satou Takuya, Umehara Yuuichirou.